One of the main reasons we file negligence lawsuits is to make the roads safer for everyone, and that is also one of the reasons third party (vicarious) liability is so important. Rented vehicles are a good example. If no one holds Enterprise, U-Haul, and other vehicle lessors responsible when they carelessly rent vehicles to incompetent drivers, they will continue the same policy that allows anyone with a valid credit card and a passable form of picture identification to drive anything from a small sportscar to an extra-large moving truck. In direct opposition to this need, the curiously-named Safe, Accountable, Flexible, and Efficient Transportation Equity Act has a controversial amendment provision that its makers designed to defeat safety and accountability on Florida’s highways. SAFETA is a sprawling, 800-plus page bill that lawmakers enacted in 2005. Typically, when representatives consider such omnibus bills, they add rather spurious provisions at the last minute, often with little or no forethought. 49 U.S.C. 30106 is just such a provision. Before members voted on the Graves Amendment (named for U.S. Rep. Sam Graves of Missouri), there was nary a single hearing and there was almost no floor debate. With such little legislative history, it is difficult to know what the Graves Amendment is supposed to do, and what it is not supposed to do. What is known is that Rep. Graves introduced the measure to keep vehicle rental companies from leaving certain states to avoid vicarious liability judgements. Under traditional negligent entrustment doctrine, vehicle owners are liable for the victim’s damages if they allow someone else to use their vehicles, and these people later cause car crashes. Not Otherwise Negligent: The Graves Amendment states that if the owner or agent is negligent, owner liability still attaches. A growing number of courts have ruled that owners or agents are negligent if they do not verify the customer’s drivers’ license beyond a mere visual inspection, and as a result, a growing number of companies are enforcing such a requirement. A policy violation is evidence of negligence. Trade or Business: Because the term is not defined, no one is sure what it means to be “engaged in the trade or business of renting or leasing motor vehicles,” but vehicle owners are liable for damages if they do not meet this condition. In the ordinary sense, owners/agents must derive most of their income from a certain activity to be in that trade or business, and especially with regard to smaller vehicle rental agents, this requirement may be lacking. Florida law may provide a way around the Graves Amendment as well, because the measure says that it does not supercede state law. The dangerous instrumentality doctrine is well-settled law in the Sunshine State. 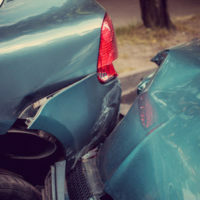 According to this rule, a person who “voluntarily entrusts that motor vehicle to an individual whose negligent operation causes damage to another” is liable for damages. So, even if the owner/agent was not negligent and was engaged in the correct trade or business, liability may still attach under Florida law. Regardless of the Graves Amendment, vehicle lessors may still be vicariously liable for damages in certain car crash cases. For a free consultation with an aggressive personal injury lawyer in Brandon, contact Reed & Reed. From our office in Brandon, Reed & Reed helps clients in Tampa, New Tampa, Plant City, East Hillsborough County and throughout the state of Florida.